Like Tame Impala's Kevin Parker, Stephen McBean excels at evoking the feeling of the past without making specific reference to it. 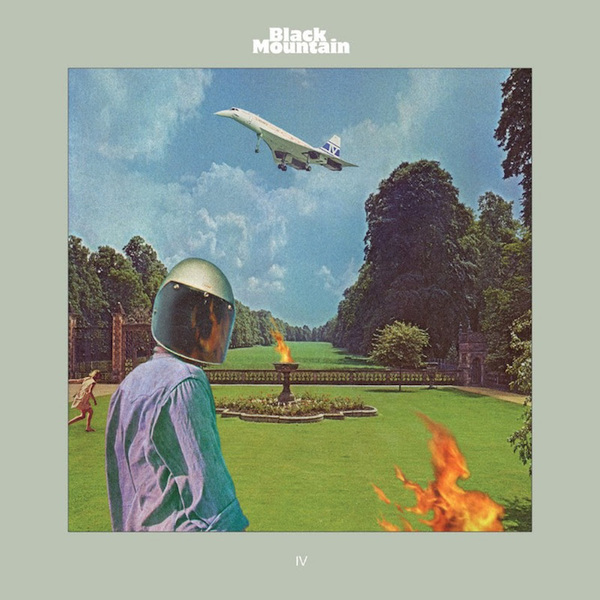 That aesthetic shines through on Black Mountain's fourth album, appropriately if unimaginatively titled IV. Fusing the proggy-space vibes of In the Future with the breezier pop sounds of Wilderness Heart, the Vancouver band's latest unlocks a heretofore unheard heaviness that eschews the guitar riffage that's usually associated with the group. Thank producer Randall Dunn, who's brought a sense of ambient heft to artists like Sunn 0))) and Marissa Nadler, for the bait and switch; McBean's guitars are dialled back, leaving singer Amber Webber and keyboard player Jeremy Schmidt to do much of the heavy lifting. The change is immediately evident on epic opener "Mother of the Sun," its pulsing keyboard and surging organ putting listeners in a state of unease as Webber sets the scene: "Mother of the sun/ Your children/ How they run…"
Black Mountain's sticky singles, like "Old Fangs" and "No Satisfaction," were always part of a larger whole that was their albums. IV is united by its willingness to cede power away from the guitars to the rest of the band, but it is also the first Black Mountain record that feels like a collection of songs rather than singular piece; its catchiest tracks — "Constellations," "Cemetery Breeding" — can't quite match the band's previous highs.